How to Fixing Lenovo S850 no Service Issued, 100% Work – Got this posting from the comments one of blog reader, a lot people got this problems when modified Lenovo S850. Beside Lenovo S850 when you got invalid IMEI and no service issued on your device, you can fix it by restore the IMEI and it will fix the problems other then Lenovo S850. I don’t know this guide can be use for other china device or just Lenovo S850 so if you try to another please give some word on comment. No service is cause by NV file corrupt, so using flash tool we gone read back NV file and the flash it back to our device, if you do right this procedure than it will revive your device from dead. Please read careful step by step because it think it will complicated. SP Flash Tool v3.1320 ↦ for this guide actually you only need the flash tool, you can use any version of flash tool but recommended to use v3 flash tool. S850_ROW_S215_150114 ↦ 1.1 Gb, because this guide is for Lenovo S850 then you need to download Lenovo S850 stock ROM, for another china device then you need to search it on the need. NV_RAM ↦ Lenovo S850 NVRAM block, cannot be use for another device. After you can see the flash tool windows, now press ALT + CTRL + V. This will make flash tool run on Advanced Mode, you can see on the flash tool windows bar. On the Download tab click Scatter-Loading button and the navigate to ROM extracted then select MT6582_Android_scatter.txt this will load all ROM files to flash tool. Last click Write Memory button, turn off your device because Lenovo S850 using non removable battery you must make sure that your device is completely turn off, connect your device to flash tool using USB cable and flash tool will recognize your device and begin to start flashing process, wait until you can see GREEN CIRCLE in the middle of flash tool. Done, disconnect then try to turn on your device and normal boot. See if the service already on and can be use on your device. You must check emmc write not flash! Its important.. I tried to flash it but still S217, Is its safe if I check nand flash instead of emmc? you should select emmc, if you wanna fix the signal problem. I dont understand what you mean with "I tried to flash it but still S217"
@andy suwito why don't you just put the "check the emmc write" thing as @ogi beng mentioned into your wtiting above ? i followed your instructions perfectly but my phone getting bricked right after i write the nv, dunno why but after read @ogi beng's then everythings getting clear … i checked the "nand flash" insted of emmc (yea since you don't mentioned it earlier @andy suwito). The build number, I successfully flashed it but the build number is still the same before I flashed this fix. Should it be S850_ROW_S215_150114 already? when you have S217 then it ok use S217, the ROM need because you cannot use this method and flash NV_RAM if you don't have the full stock step 2. Ahh, ok so therefore I successfully flash my phone to recreate the NV_RAM base on S215. So this is solve already sir? Is your signal is already restore? What you follow this guide on the first time? Is you have signal issue or you just wanna update your device? I just want to try this fix because on our home location, my S850 phone can only get Edge signal since I updated my phone into S217. Hopefully If i get back there later, I can get H+ signal. this not for that problem, this for Lenovo S850 that have no signal at all. 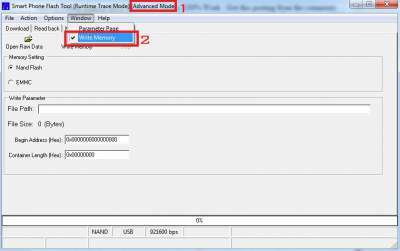 Sometime when we flash new ROM nvram partition that store IMEI delete too, so need to recreate again with above method. this guide need source, so if you now running S217 then you need have the source of S217. But if you dont have then need reflash to S215 then download the source to use for this guide. Hi again ..I did everything but when i finally click "write memory" it gives me an error and tells me that 0x180000 is not a valide integer value ? the 0x180000 is different for every scatter file, look at your own scatter file. "Open scatter file that you find on the extracted ROM, using word pad or notepad. Search for NV word, you will see three address on the scatter file linear_start_addr, physical_start_addr and partition_size. Put the linear_start_add on the Begin Address (Hex) and partition_size on the Container Length (Hex)"
Okay ..I found it ..I last click write memory and it freezes ..I mean nothing happen.. it stays at 0% and ..nothing ..
" Install this driver first on your computer, Turn off your device and remove the battery, using USB cable connect your device while look at My Computer ↦ Manage ↦ Device Manager there will be MTK65xx Preloader Devices show up for 5 second than disappeared, before disappeared right click on it and select Update Driver Software point it to USB VCOM Driver extracted folder. When it finish disconnect and connect again there will be Mediatek PreLoader USB VCOM Port on your device manager." my battery is non removal..
if your battery non removable then just make sure your device is completely turn off. sorry, you cannot download because the 4shared.com close my public sharing. but now it open again. I dont understand with your think. How can the computer recognize your device if you dont install the usb vcom driver? look at video description, there is a bunch of links that you can download. use that link to install the usb vcom and follow the video. any workaround for this andy? 2.flash tool saying failed to open raw data that is NVRAM.. I hope it will fix it. But you must try first if you want to know right, nothing to lose. gan nv_ram link error (Sorry, the file link that you requested is not valid. Sign error. ), please reupload/mirror.. Some, Are Easy, Medium, Tough ..
thank you for visit and leave comments, really appreciate it. yes maybe it need to check the emmc option. thank you for your correction. andy what cause brom error Enable DRAM failed!. wont turn on and cant go to recovery mode. press on button nothing happen. yesterday before flashing it works properly..
this error mean your device need special preloader because your device produce in 2014 so it need special preloader. if everything done accordingly, once u connect ur S850 (during power off state) SP F tool flashes instantly like in 2 seconds u get green circle …. thank you for your correction and your comment, about the picture yes you right i will as soon as possible to change the picture. some country block adfly service so you must change the dns to google dns to be able to download it. sorry it because your country provider block it. are you already flash the ROM i include on the download section which is S215? there is scatter file for S215 on the download section inside the downloaded ROM and why you are using S217? Dear Sir…firstly Thanx a lot bcz when first time my lenovo stuck when i update my phone. that time i was follow ur post any its really works for me like charm. but now i have a problem unfortunately i format my phone when i update Lollipop. i repair IMEI number but i Felt to write s/n its show me 0000000 like this…so my network is not working…Wifi,Hotsport,Camera all are working gud only when i connect wifi its show me NV Ram error but its working…m using Row version 207…PLzzzz Help sir. the objection on this guide is fix the no service, so install the ROM so the objection can be achieved, after achieved you free to change the ROM. do you get the point ? dont bother about signal, bad UI or other. it working just fine, your country block adfly service so if you want to download it change your DNS to google DNS. wtf Lenovo S850 is MTK6592 You did Wrong Rom and bricked my phone how to unbricked it?? Your S850 os fake, look at gsm arena about S850 http://m.gsmarena.com/lenovo_s850-6158.php. And one again i will not help you fix it. Open scatter file that you find on the extracted ROM, using word pad or notepad. Search for NVRAM, you will see three address on the scatter file linear_start_addr, physical_start_addr and partition_size. Put the linear_start_add on the Begin Address (Hex) and partition_size on the Container Length (Hex). yes, and what is your mean ? he can I use your post on my page ..
do you want to partnership with me on my page if you like. yes you can use it in your post but please give backlink to this post also. do we need to use the exact same rom given above? or i can use the one i already have? better you use the given ROM above. because the address is came with the ROM. Just asking Your post can fix the problem of invalid inei on my s850 device? i think its because i used row s211 on it isn't it? or it doesn't mattter if i used those? Frenielle Mendoza, had you fixed the SN problem? Mine had it too. SN:00000000. Hi andy ive come back to this blog and gladly to report to all of you that i got my lenovo s850 repair by my own with andy method. actually all the method suggested by andy is working like the flash nvram stuff. now i have full signal. after inspecting internally hardware actually the black antenna wire was crushed by the internal component so, i arrange back the black antenna wire and viola the signal is back. my theory is long before i got my screen replacement and maybe during that time the tech guys didnt notice the antena wire placement thus leading to no signal…. but hear my warning, i disassemble my lenovo s850 with my own hand and placed the black antena wire with no what so ever skill and understand the risk that will happen. NV file work 100%,only nv file flash with miracal box its work auto imei back with network.thanks. overall everything working fine, what the effect if SN:00000000 for s850? before try please read all the comments above you will know what to do next, on step 3 choose EMMC instead Nand Flash not change it yet. Hello,Andy I flash my lenovo s850 before reading commets by selecting NAN FLASH.Now my phone looks like hard brick.I can't turn on my s850.Only black screen appears. How to solve it.Plz helps thank. no need to turn on the phone, as long as your phone know by the flash tool then you can still redo the process. Thanks Andy for the procedures , i followed the steps and my phone got IMEI but it's different than the original IMEI , and still no serial , when tried the phone slot1 still didn't detect any signal , only slot2 detects not-3g signal for calls only . Can you please support me in this . 1. In wifi, NVRAM warning is getting displayed. 2. Imei number is invalid. 3. I am getting no service all the time. 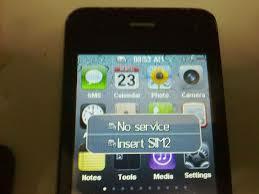 Now, Hopefully I resolved the first 2 issues but I am not ahle to resolve the 3rd one (no service). I looked into the S217 rom for nvram file and flashed it as per the steps given above, but still no signal. Even I downloaded your nvram file and flashed, still no signal. Please help. I am on version S217. i dont understand… shoud we change 0x0000000 to 0x1800000 or 0x1800000 to 0x0000000 ? Ty so much andy for this wonderful post and fellow bloggers. Tried it on for S208 ROW. Works perfect. must be the Internet connection? thnks for answer. I had the same problem after i Reset my Lenovo S850 i was getting Invalid IMEI and SN number……. I did as it mentioned above but still my SN number and IMEI Number is displaying as Invalid So what should i so . Hello can you help help me with me with my lenovo a269i not getting a signal after I flash stock rom.. BUT NOW, BUT NOW "NO NETWORK". Follow above guide but on step 3 choose emmc rather that nand flash. Wrong image. Brother download links are dead please update. Thanks Man its rely good post!!!!!!!!! thanks a lot… its done to me.. i follow all the step and now i can make a call. thanks a lot!!! thanks a lot!! its done.. signal back again.. thanks a lotttt!!! !